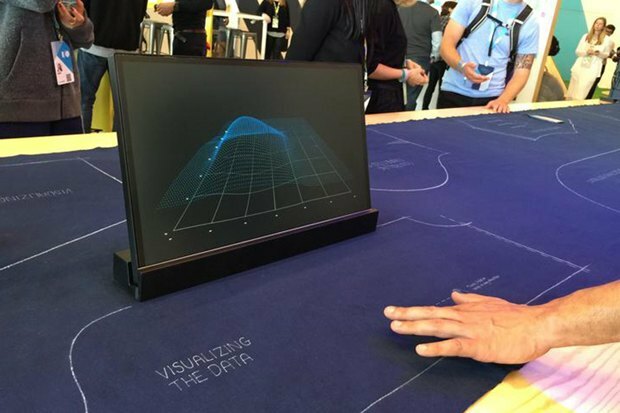 Google has unveiled their collaboration with Levi's to create an interactive fabric that can work with a variety of devices. Google's Advanced Technology and Projects (ATAP) group presented the prototype, called Project Jacquard at the company's I/O Developers Conference. They hope to make jeans that can act as touch screens. ATAP's Ivan Poupyrev told Wired that they've sandwiched the electronics in between two layers of fabric. In the begining, they had been weaving conductive threads into the fabrics themselves but abandoned that technique because it interrupted the power and data between the yarn and the electronics.